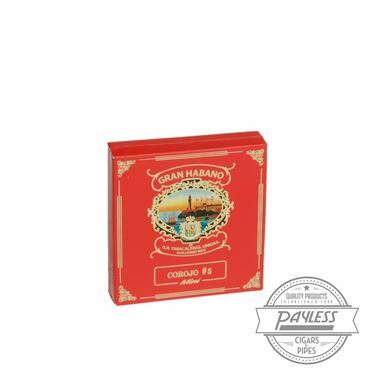 Gran Habano Corojo #5 is the strongest blend in the Gran Habano profile. The filler consist of Costa Rican and Nicaraguan long leaf tobaccos with a Costa Rican binder all held together by a noticeably red, flawless Nicaraguan Corojo Wrapper. The combination produces rich, full-bodied flavors for a veteran cigar smoker.